Exactly the makers of the history, whose names probably would not be added to the text-books, are the people who had been acting in defence of the rights of the elderly in Ukraine. Each of them had a difficult fate. Much work had been performed. A great deal of activities was to be mastered at their age. How much work is done! How many people recollect their names with love and respect... And the gratitude of those, whom they were eager to provide worthy life in the autumn of life, is measured to millions. Exactly it is measured to millions. Because the number of Ukrainian pensioners makes up about 13.7 million people. It goes about the founders and active members of Ukrainian Association of Retired Persons, and namely Lev G. Gassanov, Vladlen G. Shermarevych, Vasyl I. Bakushin, Pavlo E. Tishchenko. Spark of enthusiasm burst into flame with desire to help the elderly in Ukraine. They have devoted their last years of life to the fruitful work of Ukrainian Association of Retired Persons. During that short period they managed to involve in this process exactly those people, who were worried about the problems of senior citizens. In common with other founders they were able to create a powerful organization, which has launched its activities in many regions of Ukraine. Ukrainian Association of Retired Persons has been gaining around for 12 years. It helps the elderly and found acceptance even in Europe. You’re no longer with us ... We are bowing our heads with gratitude of your blessed memory. We won’t desert our colours in spite of all the difficulties and oppressions provided by dull-witted small fry, and we will make every effort to improve the life quality of the grey-haired generation. We are a force being kept only together. 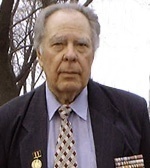 Lev Gassanov was a public figure and a member of the State Prize Committee of Ukrainian SSR in the field of science and technology under the Council of Ministers USSR. He had been heading the research and production association Saturn for 20 years. 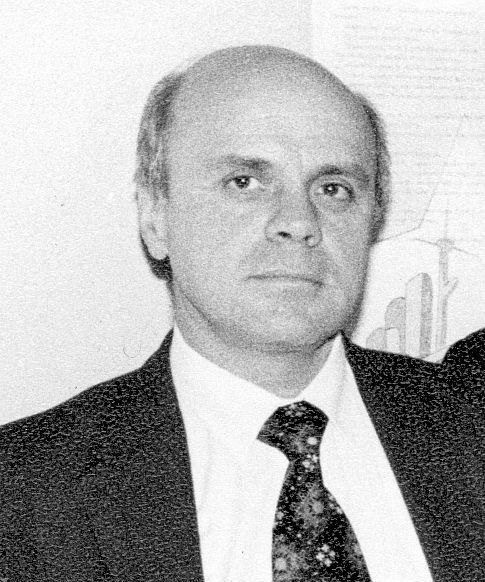 Gassanov was leading the creative union of electronics and telecommunications named after Popov. He has been heading the Union of Scientific and Engineering Societies in Kiev for 15 years. Mr. Gassanov took an active part in the development of strategic and tactical plans for the electronics industry of the USSR. After the collapse of Soviet Union he was engaged in business and created Kvazar Company. He is known to be the author of over 340 scientific studies, nearly 70 inventions and technical developments. A great number of young scientists became candidates and doctors of science under his leadership. A memorial tablet is placed in memory of Lev Gassanov at the facade of Saturn Association at Les Kurbas Avenue in Kiev. Vladlen G. Shermarevych had been working at the research and production association Kvant for 30 years, where he was leading one of the research laboratories. He was actively involved in community work and the development of plans for scientific and technological progress. A number of inventions in various fields of science and technology belong to Mr. Shermarevych. He was working as a technical director at Kvazar Company during his last years. UARP in common with Vasyl I. Bakushin carried on a number of events that have been reported in journal Our Generation, newspaper 50 Plus as well as UARP web site. His inspiring interest interview named Lessons of history for all generations was published at the magazine Our Generation (2004, issue 7). The veteran was proud of that he participated in the violent fighting in the environs of Moscow as 15-year-old-boy. After having been injured he joined divisional reconnaissance. The stages of his military career were Northwestern Front, the 2nd Baltic Front as well as the 3rd Tank Army. He was entrusted with a lot of important tasks even after the Second World War. All the missions were performed perfectly by Vasyl Bakushin. 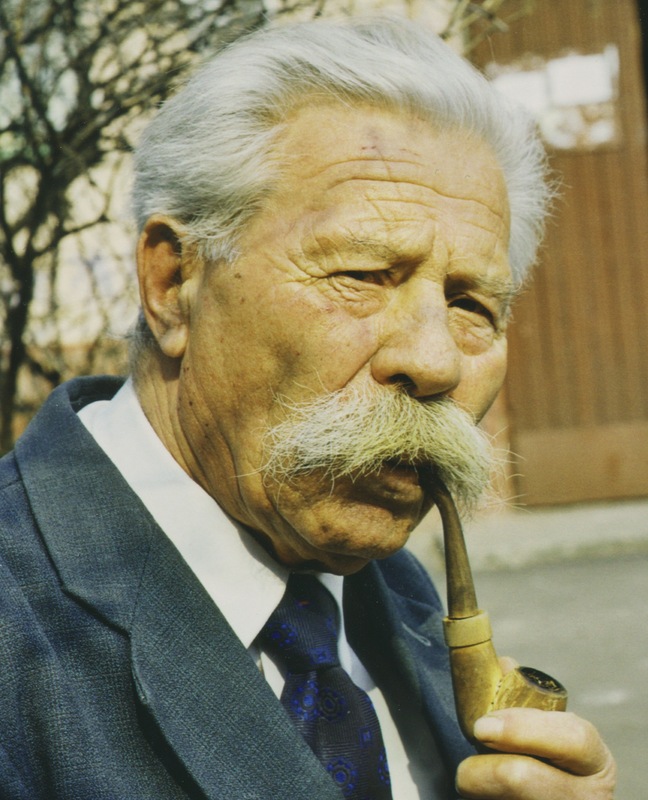 It happens that this nice veteran (or more precisely a portrait of him) became a symbol of Ukrainian Association of Retired Persons. His picture has been opening the main page of UARP site for 12 years. Despite the tragic fate (repressions and loss of two sons), Pavlo Tishchenko remained optimistic and was serving the good ideals until his last days. Being infirm, he gathered up and came to the general meeting devoted to the 5th anniversary of UARP. He addressed appeal to younger members of the association to promote social organization in an active way and to unite in the struggle for the rights of senior citizens.